wetfish.net — The Wetfish Wiki — Wow, so future! 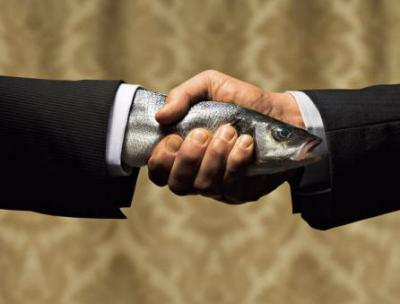 "I'm the Wetfish Wiki, nice to meet you." To make things easier, Rachel has implimented cool features like shorthand article links! That's right, kids! Wetfish.net is super-kawaii status. Our features continue to grow like tentacles, grasping unsuspecting children with their slimy suction cups. We want to pleasure you—service your every internet!. Wetfish loves you! What I mean is... Wetfish needs to know what you truly desire to the finest detail! We bring life to your cool idea for a new feature, eagerly working in the context of our past to create a brighter future! We'll bask in your praise and smile, knowing together we are more than the sum of our parts. But before I get carried away, look at all this cool stuff you can already do! It's simple, every tag begins with a keyword and a set of brackets. Whitespace is optional, and most keywords have shortcuts. If you don't like typing Bold or Italics all the time, you can use B or I instead. Tags are also case insensitive. Size options, like Medium and Small can also be shortened to Med and Sml. With URL, you can link to anything on the 'net. Even give it a description if you want by adding a pipe, |, and some more words after it. The following examples should help you piece it all together. In these cases, if you provide a remote address, wetfish will fetch it and automagically change your submission to use the local copy. Extra parameters can follow the url, separated by '|' marks. There's quite a bit of history, but I still don't feel like getting into that yet. 4,506 page views. 32 edits — Last modified March 14, 2018 14:25:47 EST.